Tourism is one of the most profitable and reliable sectors for economy of Dubai. Every year, millions of tourists arrive in Dubai that contributes huge amount of capital in the economy of Dubai and UAE. But there is no single reason that attracts tourists on such large scale to Dubai. These tourists arrive here to see beautiful theme parks and tall skyscrapers or to take advantage of best and relatively cheap medical facilities. Another very important reason for arrival of visitors is the hosting of large number of events. It also includes business-related events that attract large number of entrepreneurs in Dubai. This ultimately results in increasing business opportunities. These events and exhibitions are held throughout the year, especially from October to April. The government of Dubai is taking several steps to increase number of events in the country. The latest report shows that these business events are contributing a lot in the economy of Dubai. 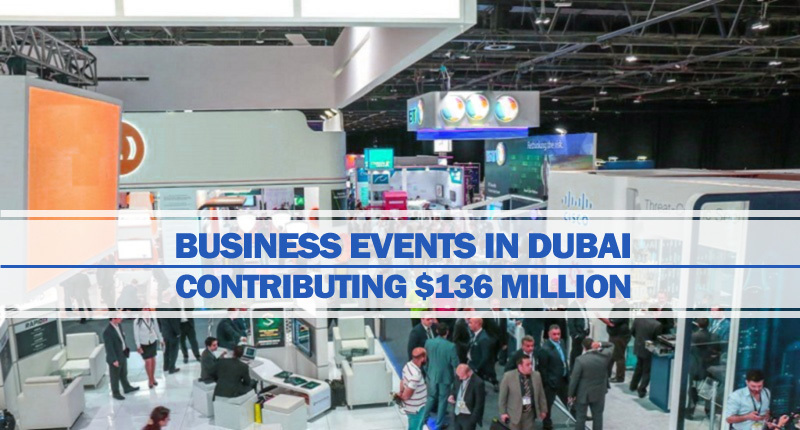 According to Dubai Business Events (DBE), an entity of the Department of Tourism & Commerce Marketing (DCTM) that manages business events in Dubai, the first half of 2018 provided 125 successful bids to them for hosting business events. As compared to same period last year, it showed increase of 29%. These business events and conventions will attract more than 65,000 delegates from different parts of the word and it will add around $136 million (AED 500 million) in Dubai’s economy. Few of the very famous events it won in H1 2018 include: Pro-Health China Incentive (2019), World Congress of Gastroenterology (2021), World Chamber Congress (2021), International Congress for the World Confederation for Physical Therapy (2021) and Asia Pacific Congress of Cardiology (2023). In order to get these results, the representatives of DBE attended more than 70 trade events in different parts of world and work on other tasks also. Steen Jakobsen, director of DBE, expressed his pleasure on achieving this milestone and said that it is indicating Dubai has been accepted as the best place for business events on global level. He was confident that they will be able to bring more such events in Dubai in near future also. This latest development is enhancing business as well as tourism prospects in Dubai. It means this will create opportunities for businesses as well as companies related to tourism industry to flourish in Dubai. If you want to know your business prospects in this regard, then you can contact Riz & Mona Consultancy via our WhatsApp # 971-56-9971225.